If you've ever used stencils in your artwork, you know how much fun they are to play with. 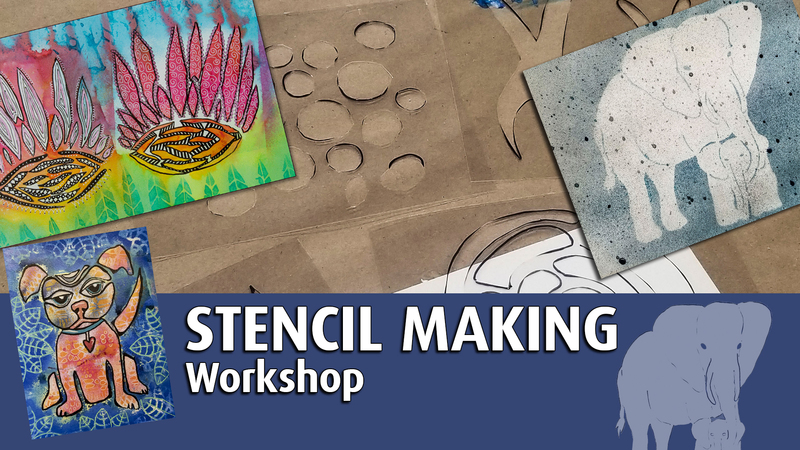 In this workshop, you will learn how to make your very own stencil designs to create one-of-a-kind pieces of art. We will discuss different ways to create your designs and how to cut them so they stay together in one piece when you're done. We'll test out your stencil on a sheet of watercolor paper with Marabu Art Sprays and you'll take home a completed art piece that you create from scratch.